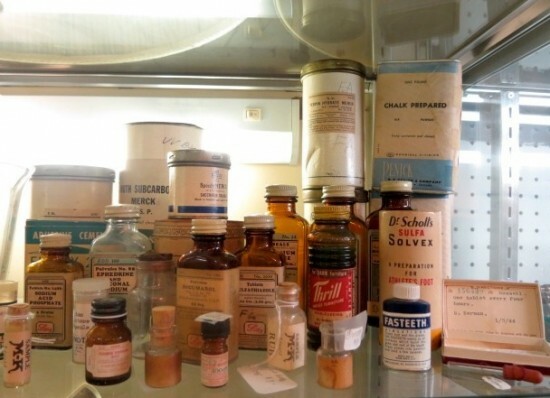 assorted bottles of vintage medicine. 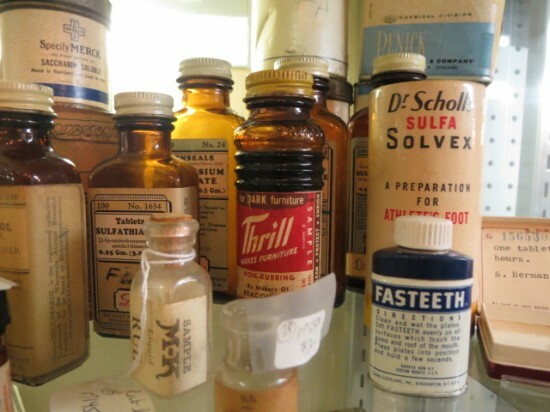 amazing collection of products such as "Fasteeth" and "Dr. Scholl's Sulfa Solvex." these would make great props in plays, gifts, or as a very creative decorative element in your house. prices vary, many between $2-$3. assorted bottles of vintage medicine. amazing collection of products such as “Fasteeth” and “Dr. Scholl’s Sulfa Solvex.” these would make great props in plays, gifts, or as a very creative decorative element in your house. prices vary, many between $2-$3.